How important is the role of robust and investigative journalism in a healthy democracy? Many political scientists argue journalists perform a crucial role in informing the public debate so that the electorate can make educated choices. Politicians are elected to make decisions and take action that reflects the wishes of the voters who elected them to office. In order to inform and educate the voters, journalists must scrutinize the politician’s decisions and report the implications to the public. Thus, journalism could be viewed as crucial to the correct functioning of a Democracy. In 1913, President Wilson, concerned about remarks quoted by some newspapers, threatened to end the practice of Presidential Press Conferences. Pledging themselves to a professional code of conduct, a group of White House correspondents convi nced President Wilson to relent. 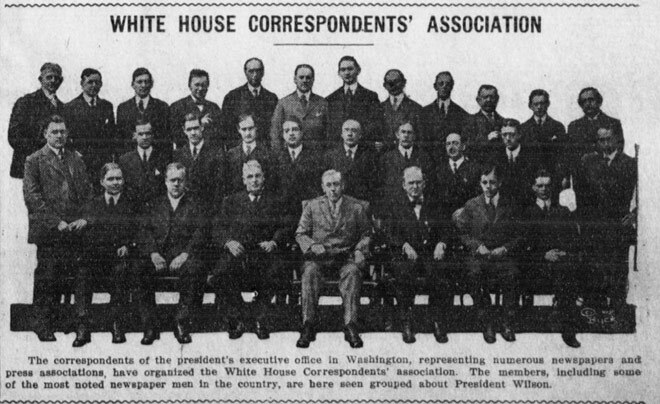 On February 25, 1914, these journalists formally organized as the White House Correspondents’ Association (WHCA) in response to a rumor that a Congressional committee was planning to select which journalists could attend Presidential press conferences. The organizations original mission was to keep Wilson from ending his press conferences. Since its founding, the group has expanded its mission to pushing for broader access to the White House and supporting vigorous reporting on the presidency. Advocating for openness and transparency in every operation of the presidency, the WHCA fulfills its mission of oversight of the Oval Office and the federal agencies and supplies reporters to travel aboard Air Force One, the President’s official aircraft. Humorous anecdotes aside, the role of investigative journalism is not a laughing matter. President Obama highlighted America’s need for journalists that expose corruption and provide a voice to the marginalized in our society when he honored Journalists Steven Sotloff and James Foley, who in his words were “murdered for nothing more than trying to shine a light into some of the world’s darkest corners.” Telecast live by Fox News, MSNBC, C-SPAN and CNN, the dinner was hosted by the White House Correspondents’ Association, an organization of journalists who cover the press related to the President and the White House. 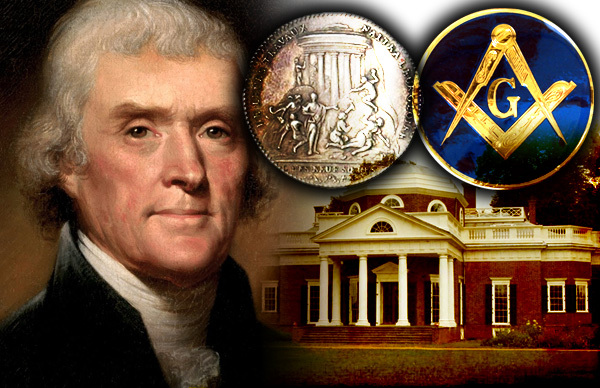 Former U.S. President Thomas Jefferson, once remarked, “were it left to me to decide whether we should have a Government without newspapers or newspapers without government, I should not hesitate for a moment to prefer the latter.” Like American journalism, Freemasonry’s purpose is founded in search for truth. Sharing in the journalist mission of shining light in darkness, Freemasons operate under a strong moral code of conduct. To think high, to do well, to be tolerant to others, and to search after Truth are some of the duties of a Mason. To protect our Nation’s Democracy, all Americans have a responsibility to support the search for truth and the eradication of ignorance. A robust and investigative system of journalism is provides key information needed to ensure a well-functioning democratic government.